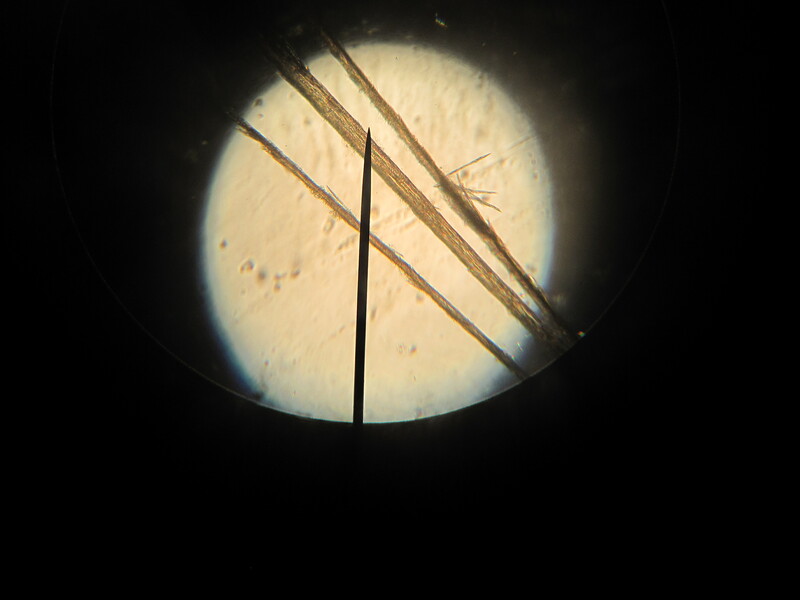 a classmate’s split ends – it was amazing that we could use the digital camera to capture what we saw in the microscope! There were a myriad technical difficulties, so we couldn’t hear most of his talk, but Lt. Thomas handled them well! He spoke about his experience working under cover to help stop the black market trade of indigenous New York amphibian and reptiles. 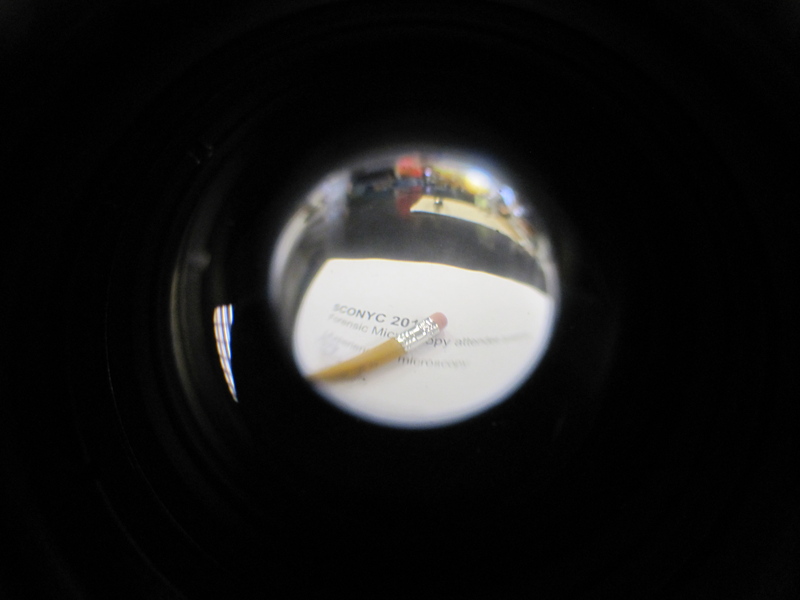 Active Physics – This was a fantastic workshop given by John Roeder of The Calhoun School in Manhattan. In my methods classes, we have worked a lot with different Active Physics activities, but I had never grasped how the curriculum as a whole worked. As John walked us through the curriculum, I was quickly convinced that I would definitely use this curriculum if given the opportunity! I’m heading over to his school in two weeks to observe him in action. 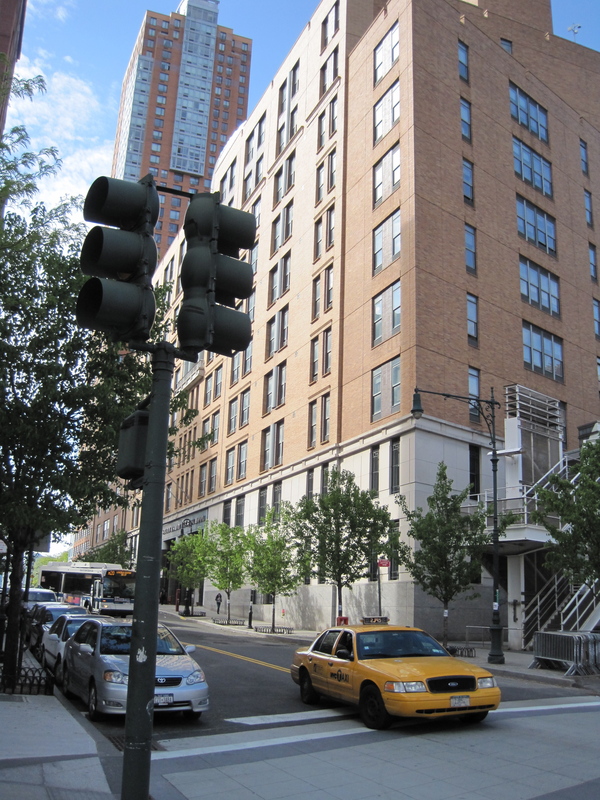 The conference was held at the incredible Stuyvesant High School in Battery Park City. The school has escalators that travel two floors at a time. It also has these fantastic tiles I forgot to take a picture of: they are glass boxes with some sort of memorabilia from each year since the school was started. So cool! We even got to eat in a cafeteria that overlooked the Hudson River. If you have a Challenger Center near you, go check it out! They are amazing places and fantastic resources for professional development and field trips. In addition to the workshops, we had a great walk through the exhibit hall. I’m hoping a few of the booths I left my name with will be sending some sample text books! In the Fall of 2009, astronomers found an exoplanet that seemed to be similar to Earth, orbiting a different sun. However, now they have discovered the orbit of the exoplanet continues to change because of its changing tides; the tides are changing due to its continuous loss of mass. The surface of the exoplanet is so hot that it is merely evaporating. This would be a fantastic article from CNN.com to use in an Astronomy, Physics, or Earth Science class in a current events section or when discussing orbits. NASA has many resources for teachers – the best two at the moment are a site just for educators and your chance to be a part of the committee to review NASA flight plans! Does Gravity Push or Pull? In one of the first classes I’ve taken in graduate school, a peer asked whether we thought gravity pushes or pulls. I was stuck between the two, but since everyone else agreed that gravity pulls, I didn’t say much and have been mulling it over ever since. I finally figured out why I couldn’t settle for one or the other: relativity. The reason we jump to the conclusion that gravity “pulls” is because that is how we experience gravity. We feel the gravitational force of the earth pulling us toward its surface – we call it falling. However, imagine you are at some fixed point in space looking at the interactions between the earth and the moon. This is where relativity comes in – you are able to observe Earth and its moon interacting from a fixed point not on the surface of either planetary object being observed. In essence you have never experienced gravity and can only draw conclusions based on what you see. The two objects seem to move towards each other, a phenomena we tend to describe as attraction. But what if that’s not what’s occurring? Just because we describe it as “pulling” doesn’t mean the gravitational force isn’t “pushing”. What if, in the galactic scale, gravity behaves otherwise? Of course, I’m not in a position to test this hypothesis, but I think it is worth considering. Physicists must be in the practice of considering what reality would be like if the opposite of every scientific law and theory were true. Otherwise, scientific developments such as Quantum Mechanics never would have occurred! I’d be interested to hear your thoughts!